Large Church gatherings, Weddings and many more…. – In some countries approval is needed to set up a tent larger than 75 m2. -The owner of the tent has the sole responsibility to make sure that these local rules are followed and that the mounting is correct. -In case of bad weather conditions, it is your responsibility to ensure that people inside are safe and that the tent does not cause damage to others. -Do not use open fire, welding equipment or other ignition sources in the tent. Though the fabric is made of flame retardant material it can still burn. -It is always recommended that you secure your tent properly with safety straps and augers when you put up the structure. -We recommend you to insure the tent, or check if it is covered by home contents insurance, in case of unplanned events, accidents or bad weather. -Tents are meant as temporary shelter and must be evacuated under extreme weather conditions. 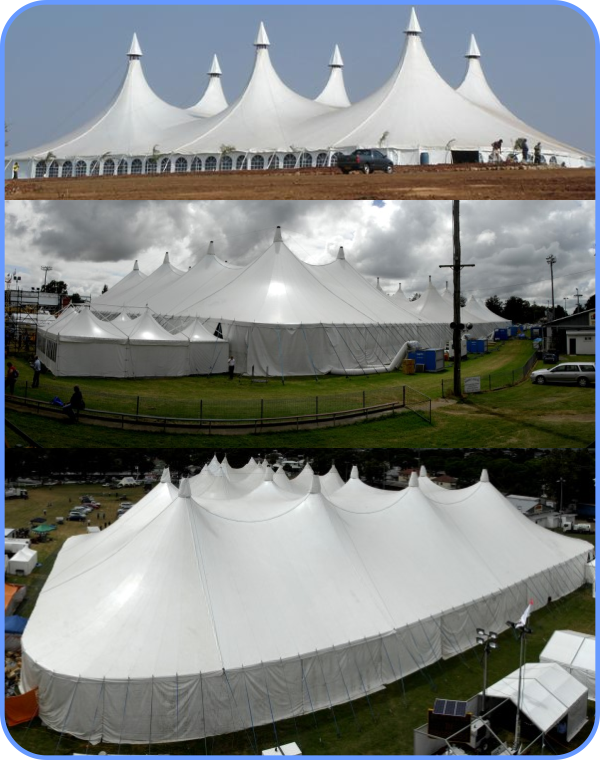 Marquees Canvas Tents Durban are the market leaders in design, manufacture and supply of Marquees and Tents in Africa.